Have you been told that you have periodontitis, or advanced gum disease, and that as a result, you’ve lost a significant amount of jawbone tissue? Were you referred to Dr. Kissel’s New York City office to see if you are a candidate for guided tissue regeneration to rebuild your lost bone? Are you confused about this whole topic, and looking for information before you proceed? Well, you’ve come to the right place. Dr. Kissel is a top New York City periodontist, and he is here to answer all your questions about periodontitis and guided tissue regeneration. If you’ve ever seen a toothpaste or mouthwash commercial, you’ve likely heard of gum disease. Starting out as gingivitis, this bacteria-caused disease results in inflamed gums that become red, swollen and bleed. Gingivitis can be reversed with proper oral hygiene – brushing your teeth twice a day and flossing your teeth once a day – and biannual visits to your dentist for a teeth cleaning from a dental hygienist. However, if you do not treat gingivitis, it will develop into periodontitis, the second stage of gum disease. 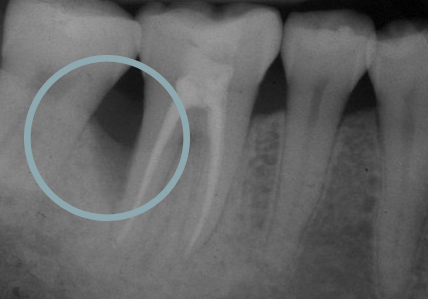 With periodontitis, your gums begin to pull away from your teeth and create pockets around your tooth roots. These pockets fill up with bacteria. Your body, recognizing a bacterial infection, launches an inflammatory response. But unfortunately, as a result of the overgrowth of bacteria and your immune system response, bone loss occurs around your teeth.If you lose too much jawbone, it’s possible that you’ll lose your natural teeth. 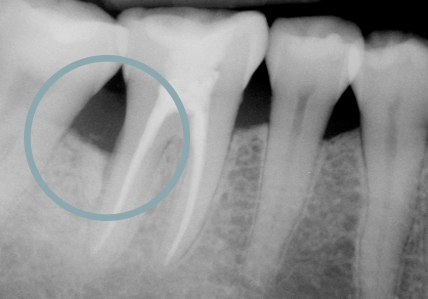 How Does Guided Tissue Regeneration Help Periodontitis Patients? Guided tissue regeneration helps New York City periodontitis patients “build” or “grow” new jawbone tissue, making their mouths healthier and greatly reduces their risk of losing teeth to periodontitis. By growing new jawbone tissue, the bone is able to fuse around the root of the tooth, making it sturdy and stable and unlikely to fall out or require a tooth removal. What is the Guided Tissue Regeneration Procedure Like? Making a microsurgical incision using special instruments, used in eye and nerve surgery, that provide precise access to the diseased area. Placing bone substitutes in the areas of your jawbone that have lost jawbone mass; and/ or bioactive materials. Precisely repositioning the gum tissue back into its original position using stitches as thin as a strand of hair. After about three to four months, the estimated amount of time it takes for your jawbone tissue to grow back, you will see Dr. Kissel again to check the success of your guided tissue regeneration. The success of the guided tissue regeneration procedure will be verified by taking X-rays and performing periodontal probing. What is the Recovery Period from Guided Tissue Regeneration Like? Using microsurgery guided tissue regeneration is a minor surgical procedure, with little to no discomfort, and no swelling. You will need to carefully follow your aftercare instructions to ensure your proper recovery from the oral surgery. You will be given special brushes with soft silk like bristles to care for the site. Additionally, you will want to follow a soft food diet for 3-5 days after your guided tissue regeneration procedure. If you’ve been told that you’ve lost too much jawbone tissue to periodontal disease, don’t risk losing your teeth, too. Call Dr. Kissel’s office in the New York City office to schedule a guided tissue regeneration consultation today at (212) 702-9088.